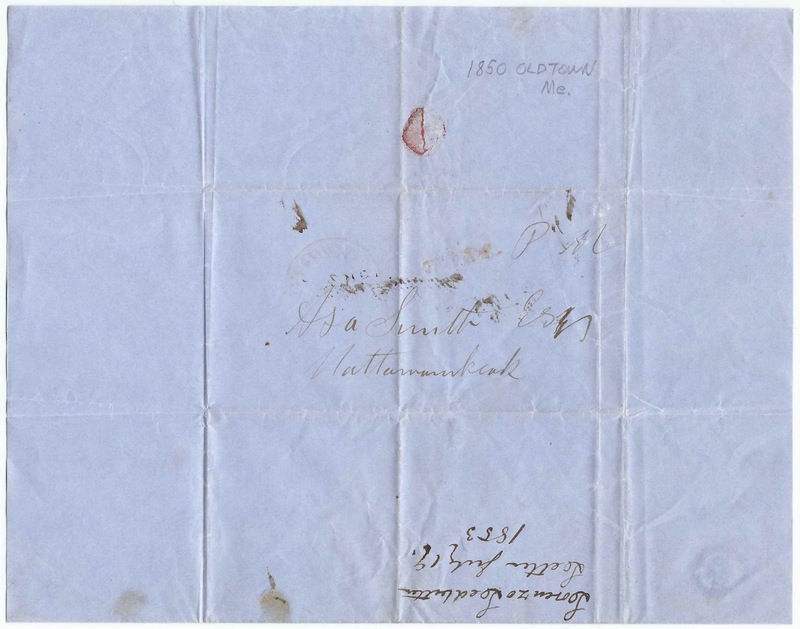 July 19, 1853 letter sent by Lorenzo Leadbetter at Old Town, Maine, to Asa Smith, Esquire, at Mattawamkeag, Maine. 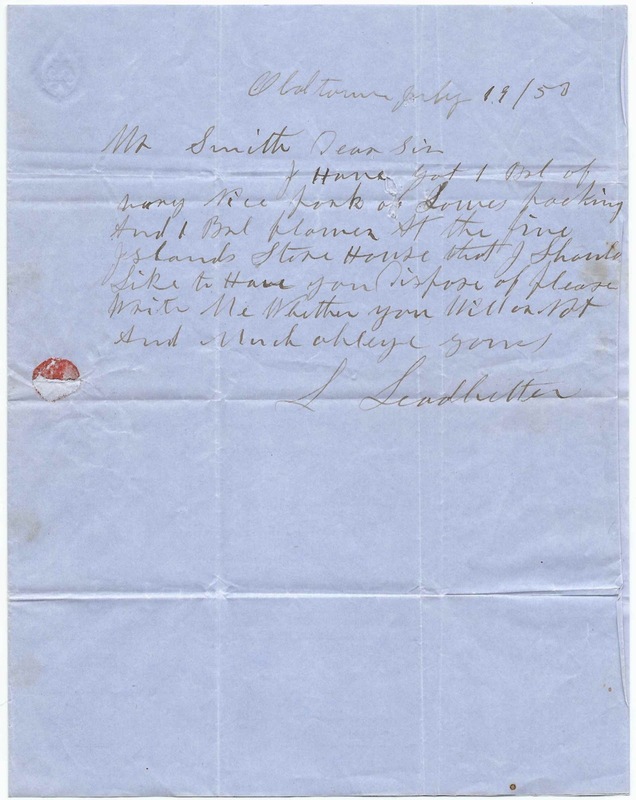 The letter concerns pork and flour that Leadbetter has for sale. 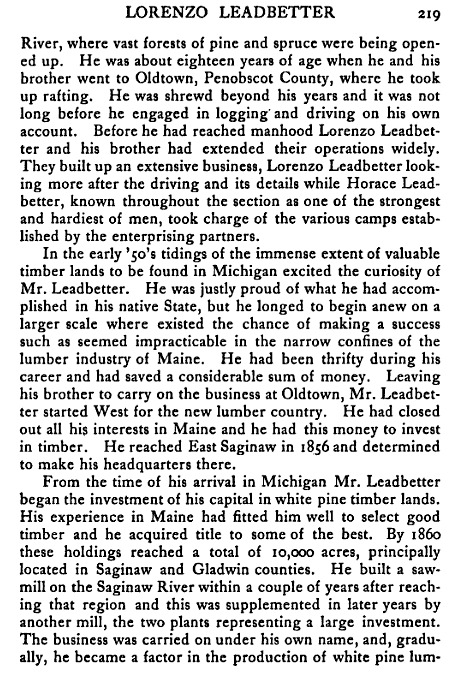 There's a biography, shown below, of Lorenzo Leadbetter in "American Lumbermen: the Personal History and Public and Business Achievements of One Hundred Eminent Lumbermen of the United States", Third Series, published in 1906. 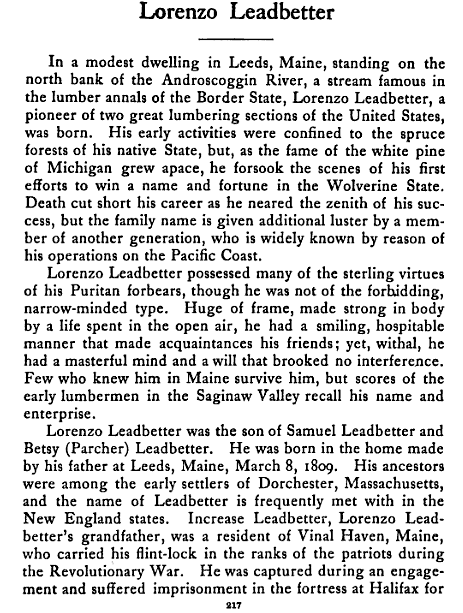 Lorenzo Leadbetter was born at Leeds, Maine, on March 8, 1809, the son of Samuel and Betsey (Parcher) Leadbetter. 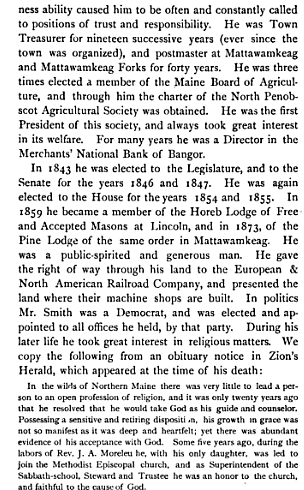 As a young man, he moved with his brother Horace to the Old Town, Maine, area, to make his fortune. 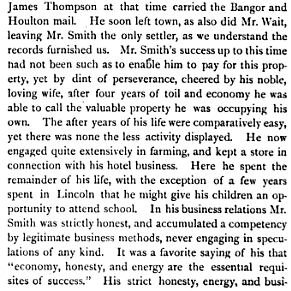 He married Mary Ann Shaw at Old Town, Maine, in 1835. 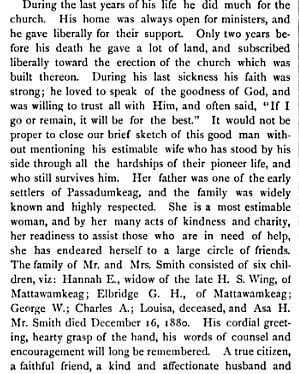 They had two children, Laura Leadbetter and Alvah Leadbetter, who died before their time. Mary Ann (Shaw) Leadbetter died in 1850. A few years later, Lorenzo moved to Michigan to pursue the lumbering trade. 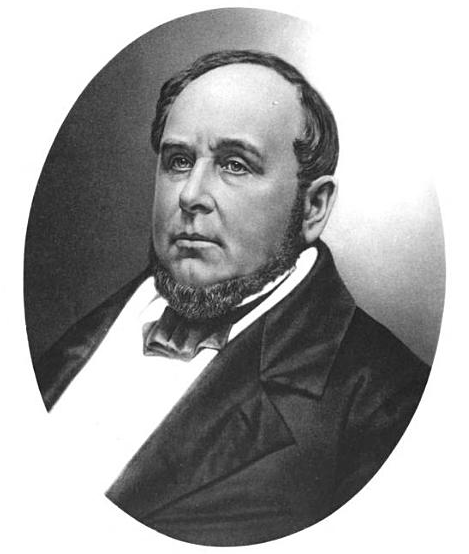 Lorenzo married Rebecca H. Robinson at Detroit, Michigan, in 1858. 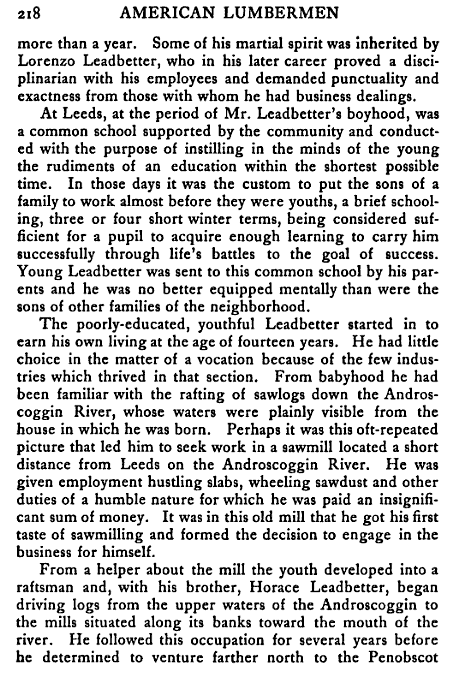 They had children Herbert Leadbetter and Helene Leadbetter. 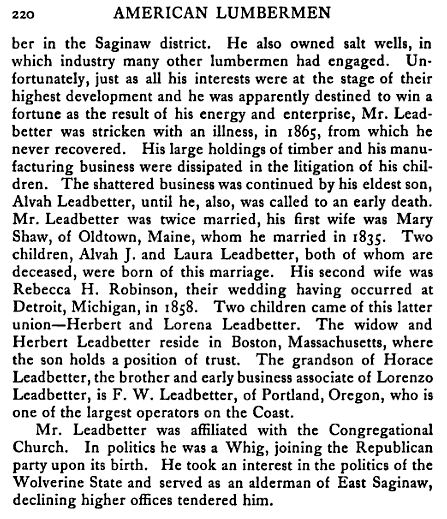 As the biography indicates, Lorenzo Leadbetter became an important citizen of Michigan before falling ill in 1865 and dying, just as his efforts were beginning to bear fruit. Litigation between his heirs further reduced his legacy. 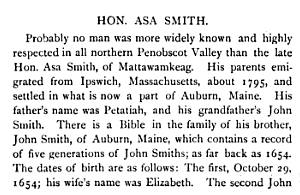 Asa Smith died on December 16, 1880. 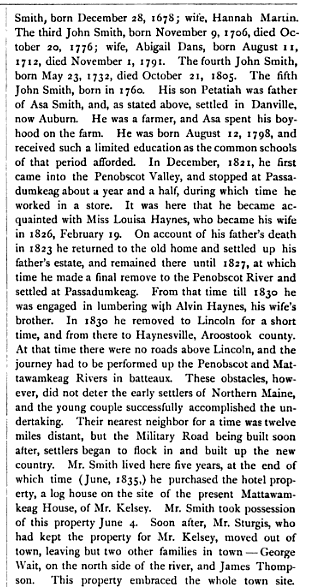 See an 1848 letter from Asa Smith at Mattawamkeag, Maine, to Elvaton Parker Butler at Orono, Maine, here.